Ever since I first stated using StumbleUpon to explore semi-random sites all over the net I've run into all sorts of things. This one is something that somebody used StumbleUpon's "Sent to" feature to share it with me. 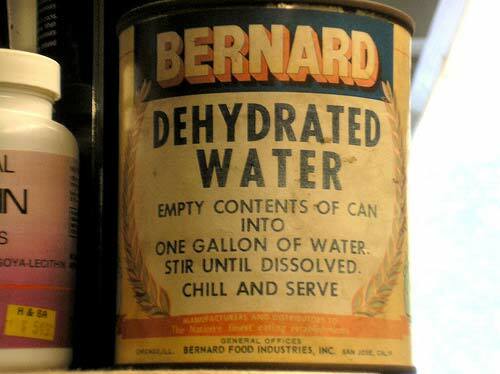 I've seen all kinds of products that have been dehydrated for packaging so that they'll keep a lot longer and take up less space in storage until they're reconstituted but I am not a hamster, I always wondered what you would add to dehydrated water. Somehow "water" doesn't quite seem like the right answer.